The spokesperson of Pakistan Army, Major General Asif Ghafoor has said that the Army has no direct role in the conduct of elections, the armed forces will fulfill its duty in a non-political and impartial manner. 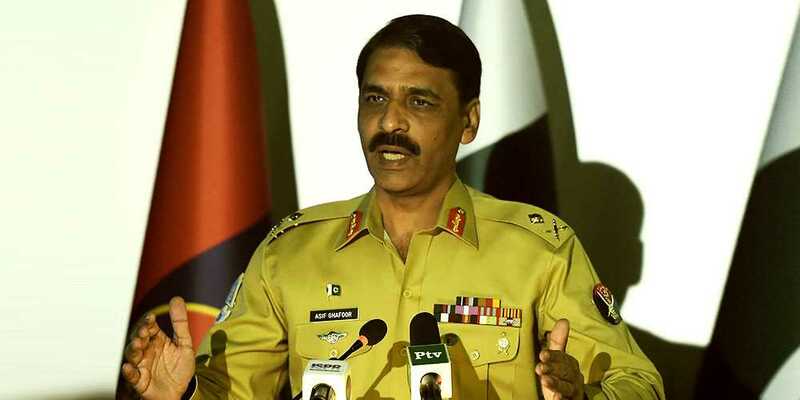 Addressing the press conference in Rawalpindi, DG ISPR Major General Asif Ghafoor said that the role of the army is only to facilitate the Election Commission of Pakistan, it has no right to be directly involved to stop misappropriation, and their role is to inform the ECP if such a case arises. The DG of army’s media wing further said that he is asked about the chances of holding upcoming polls, however, with the passage of time the rumors that the ‘forces’ that wanted to postpone the elections have slowly withered away. DG ISPR added that it is not the first time, the army is being called for elections, and it has done it before as well. In 1997’s elections, the army was there to provide full security and Quick Action Force was called during 2008 elections. We will coordinate with Election Commission of Pakistan (ECP) for July 25 elections. He said it is Pakistan is on the verge of holding third elections that will continue the democratic process, the public and political parties has a major role to play in that regard. The spokesperson of Pakistan Army said that voters are allowed to cast their votes without fear on the day of elections.